Borderlands: The Handsome Collection released in 2015 and included Borderlands 2 and the Pre-Sequel, putting two of Gearbox's most beloved games on PS4 and Xbox One. Today, Gearbox revealed a nice little surprise for those who still have the collection (or own one/both titles on PC). On April 3 the collection will receive free texture upgrade that increases the visual fidelity of both titles. 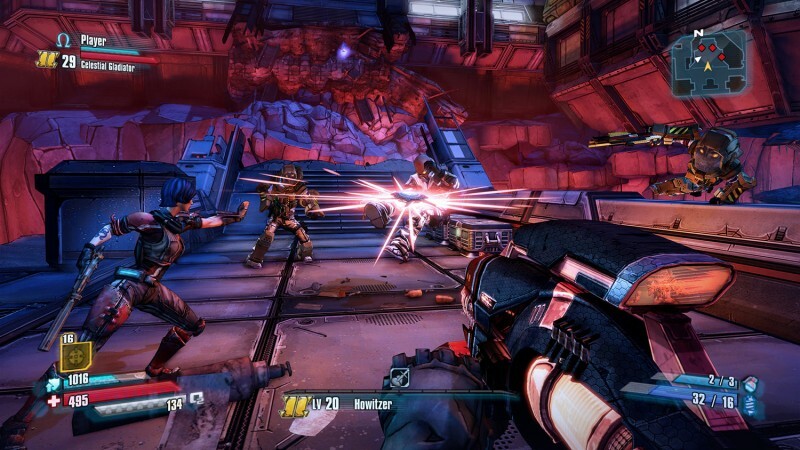 Gearbox says that these enhancements are best enjoyed in 4k but those playing otherwise will also see enhancements. Those who own Borderlands 2 and the Pre-Sequel on PC will receive these enhancements for free as well. For more on Borderlands: The Handsome Collection, check out our impressions of the game when it originally launched.